Adnan Sami, who was a popular Indian singer has lost almost 130 kilos in just 11 month span. Isn’t it amazing? I’m sure most of are wondering whether it is an achievable feat to lose so much of weight naturally! But, Yes! This is possible if you follow a proper diet and workout routine without fail. Adnan Sami weight used to be around 200 kilos (400 pounds), which is very dangerous for life. When did Adnan Sami decide to Lose Weight? He was so obese and overweight that he can’t even see his knuckles. The situation became even worse when he has undergone a surgery for lymphedema (in knees) and as a result he was bedridden for 3 months. During that time, he suffered from sleep apnea because his extra fat pushed against his lungs whenever he lay down. It was then, the doctors have warned him that he would not survive more than 6 months if he didn’t control or reduce his growing weight. Up on the force from his father, Adnan has decided to put aside all his work commitments for 6 months and take care of his weight. It was then he moved back to his native place ‘Houston’, where he started his weight loss journey. 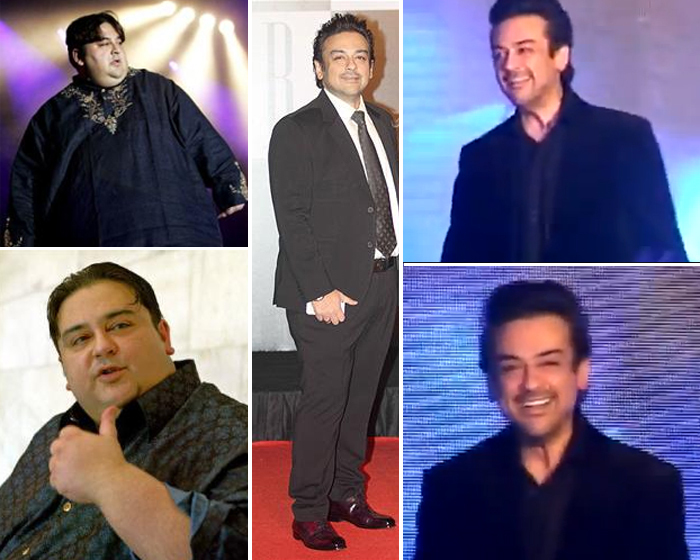 How did Adnan Sami’s Weight Loss Journey Started? On June 6, 2006, he ate to his heart’s content which included a huge cheese cake, mashed potatoes and a potter house steak with lots of butter. From the next day onward (i.e., June 7), he dedicated himself to the strict low carb high protein diet, followed by regular workouts to lose weight naturally. 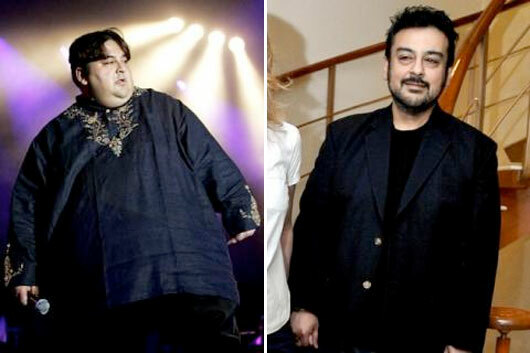 Did Adnan Sami Undergo Bariatric Surgery? Well, it is confirmed by Adnan himself in an interview that he didn’t undergo any weight loss surgeries like the Bariatric Surgery. All he has done was proper dieting and fat burning exercises. Read: How did Sonam Kapoor and Sonkshi Sinha lose weight? When Adnan went to Houston to start his journey of losing weight, he hired a nutritionist there. The expert has found out that Adnan was an emotional eater. He always used to eat, whether it is a happy or a sad moment. This unconditional love of eating led to extreme weight gain. His nutritionist suggested him to stay away from White rice, bread, sugar and oils. He was asked to eat only vegetable salads, popcorn without butter, tandoori fish and boiled dal, that too without adding any oil to the recipes. He was not allowed to drink any alcoholic beverages as they ruin the weight loss results, but sugar free drinks, diet fudge sticks (made of fudge chocolate), diet ice lollies are allowed. Adnan Sami starts his day with sugarless tea. For lunch, he munches on vegetable salad tossed with 1 tsp of fat-free dressing and tandoori fish. During dinner, he only ate plain boiled dal (no rice or roti). He is also allowed to eat chicken for proteins instead of dal, but Adnan says he doesn’t like it. As he was very obese, exercising was not his cup of tea initially and so he depended solely on a low calorie diet plan. With the help of dieting alone, he lost around 40 kilos of weight. It was then, he decided to incorporate exercise in his routine to boost the results. He then chose Prashant Sawant from Mumbai as his fitness trainer. The trainer has suggested him to do a moderate amount of walking first, as he was still heavy to perform running. After a few more kilos down, Adnan was allowed to run on the treadmill and perform a mix of weights and cardio exercises for 1 hour daily (with 1 day rest per week). Following up on this routine strictly for a few months, the results are amazing and according to Adnan, ‘he could lie down, sleep longer, stand longer and move freely’. In the later stages, things began to get better. How fast did Adnan Sami Lose Weight? 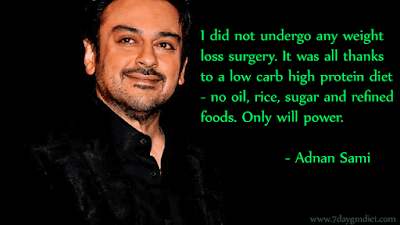 According to his interview, Adnan Sami has lost around 23.4 pounds (10.5 kilos) per month. Of-course, this is a very high figure and risky too, but since he weighed more than 2 tones, it should be appreciated. Well, the journey of Adnan Sami from 200 kilos to 70 kilos is definitely appreciable. It is only his dedication and desire to get fit (survive) that lead to such positive results. So, if you wanted to lose extra pounds and get into shape, then you should better get inspired from my most favorite singer ‘Adnan Sami’. What do you say?